PETER WERTH 'EDOM' MENS RETRO SIXTIES DIAMOND SPOT MOD SHIRT (Navy). 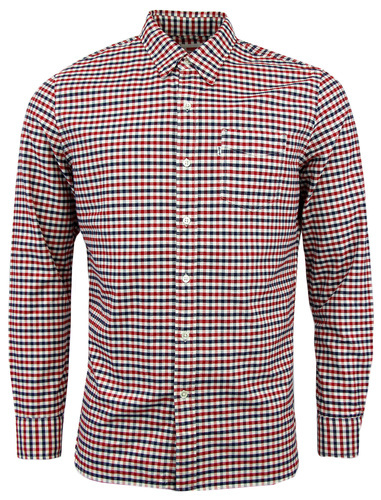 'Edom' by Peter Werth is a classic Retro shirt with stylish Mod button under collar. The subtle two tone Retro diamond spot print that runs throughout adds a touch of intrigue. 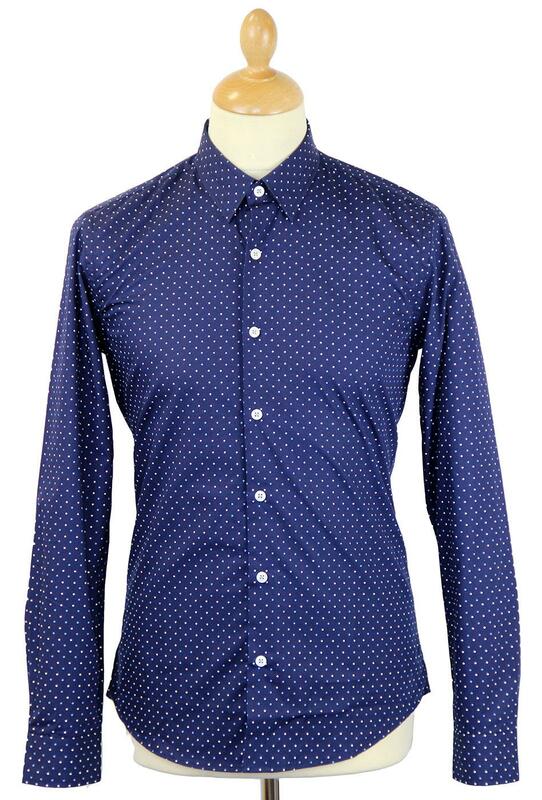 A style that goes great with both smart and casual Mod attire - 'Edom' Diamond Spot Shirt by Peter Werth. 'Edom' Mens classic navy Retro shirt with Mod button under forward point collar. Blue and white Sixties Psychedelic diamond spot print features throughout. Contrast button detail. 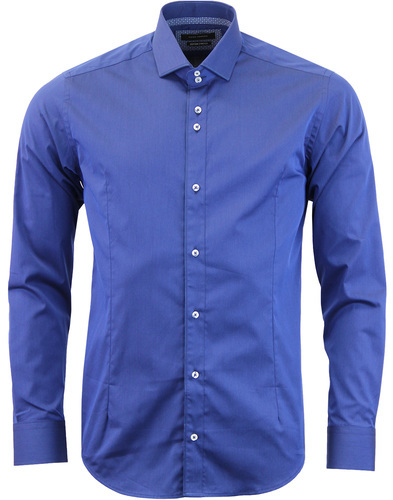 A vivid and striking Mens Mod shirt that offers a sophisticated edge to all array of attire. 'Edom' Mens Diamond Spot Shirt by Peter Werth. PETER WERTH 'EDOM' MENS RETRO SIXTIES MOD DIAMOND SPOT BUTTON UNDER SHIRT. 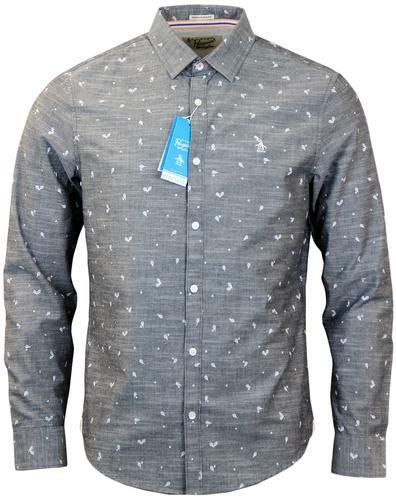 SKU: P1K01023 'Edom' Peter Werth Diamond Spot Shirt. 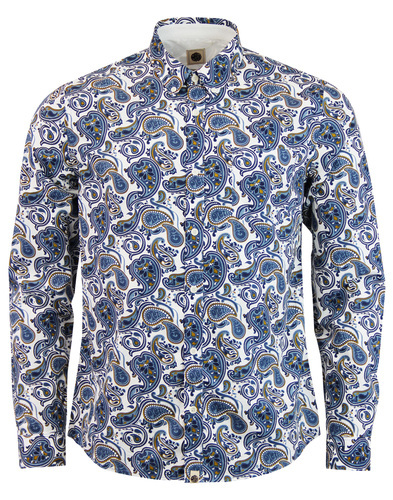 PETER WERTH 'Edom' Mens Retro Sixties Mod Button Under Diamond Print Shirt (Navy).